The Joint Admission Matriculation Board, JAMB Has Made a Whooping Cash Sum of 1.3Billion Naira and Counting as Revenue from Sales of 2019/2020 UTME and Direct Entry e-Pins Within 7 Days of Registration Commencement. Information reaching us confirms that the Joint Admission and Matriculation Board, JAMB has generated a whooping cash sum of N1.3billion from the sales of 2019/2020 UTME, Direct Entry forms and e-pins, to applicants seeking admission into tertiary institutions in Nigeria within 7days. JAMB made this disclosure in Volume 1, Number 4 of its JAMBulletin- a weekly publication of the office of its Registrar, Ishaq Oloyede. 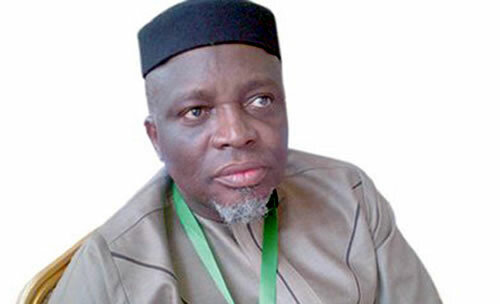 JAMB revenue analysis shows that the board made N42,457,657 from the use of its electronic facilities; N1,212,800,000 from UTME registration, N13,378,604 as service charges by the CBT centres and N52,657,00 from other sources. It, however, noted that within the week, it recorded an expenditure of N48.3 million through its expenses on staff claims, legal services, payment for utilities, taxes, traveling, among others. JAMB said; “The Board had spelt out the cost for each service, from the cost of obtaining the ePIN as reduced by the government, to the cost of the reading texts and charges for registering candidates. “Unfortunately, findings from the Board’s monitoring exercise, revealed that some centres were charging higher than the stipulated figure directed by the Federal Government and equally agreed on at the Lagos meeting for other charges. Read More on that on JAMB Suspends 9 CBT Centers for Extortion During 2019 UTME Registration.